Fox was diagnosed with Parkinson’s disease in 1991, but did not disclose his condition to the public till 1998. He sincerely believes that he puts a face on the disease. He understands the power that he holds being famous, having this disease and what that can do for people. Fox says that it was at that moment he was touched and realized the opportunity that lay before him. If individuals can relate to someone like him with Parkinson’s the patient experience will no longer be such a lonely one. Despite, his inspiring optimistic views of acceptance, he wasn’t always that way. Although Fox denies ever feeling resentment about his diagnosis he admits to a long period of denial and concealment. When doctors first suggested to Fox that he had Parkinson’s his initial reaction was not the normal “Why me?” but instead his reaction was “It isn’t me.” He thought he was too young and his “life had been so charmed up to that point”, so Fox sought out 2nd and 3rd opinions. About 2 or 3 years after his initial diagnosis he just woke up one day and “got it.” He accepted it and felt as though, it is what it is. Despite his current circumstances the famous actor has played a few rolls in animated movies as voiceovers, but occasionally likes to reminisce about his old acting days. Fox views Parkinson’s as a detour. He wouldn’t have planned or designed his life this way, but it has led him to different places and different people. He admits that he enjoyed his work as an actor and making people laugh, but now he feels as if he is doing so much more. Fox has made it clear that he doesn’t even worry about his prognosis. He believes there is no sense in worrying about something you can’t control or predict anyway. There is no predictable path for Parkinson’s. There is no point on the journey where you get to a place where it triggers different options. It’s a day to day thing. 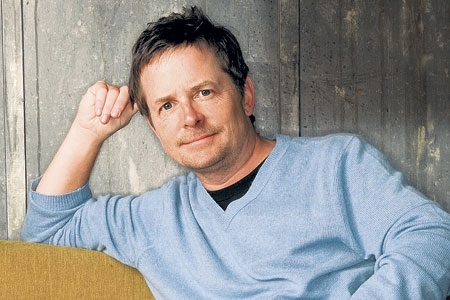 Fox views Parkinson’s as a gift in his life, “a gift that keeps on taking.” He has said that it has opened him up to be a more compassion, curious, risk taking person and it has given him the Michael J Fox Foundation which he believes is the most amazing and probably will be the most incredible thing he’ll ever do in his life. This remarkable man truly believes his diagnosis was an opportunity in disguise. Check back Friday July 29, 2011 to read about Christopher Reeve and his opportunity in disguise.